Planning the Summer Nearcation ~ Why Vacationing Close to Home Makes Sense, Renaissance Magazine, Retired Teachers of Ontario, 2017 Summer. People’s Best Friend–Why Having a Dog Matters, Renaissance Magazine, Retired Teachers of Ontario, 2016 Winter. 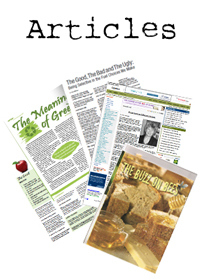 Visit the Articles Archive for more!